Never paddled before? You’re going to love it. Perfect for children from ages 9 and up. 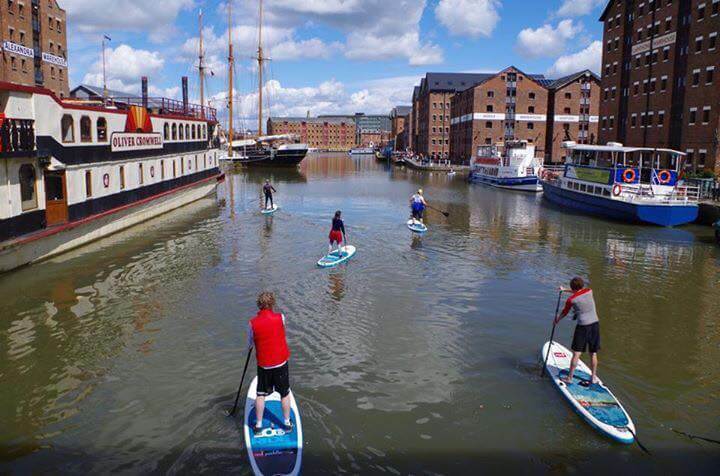 We’ll take you through water safety, paddling skills and board control in a 90 minute lesson around Gloucester’s Historic Docks. You’ll be stood up in no time! £20pp all equipment provided including wetsuits if required.